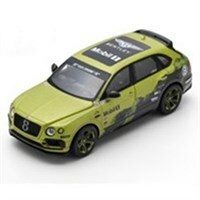 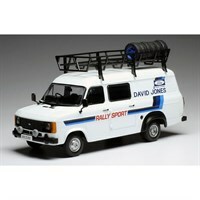 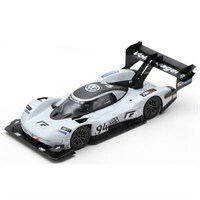 Buy all the latest rally diecast models from Diecast Legends. 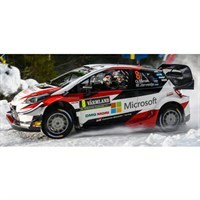 IXO 1:43 diecast model of the #5 Toyota Yaris WRC as driven Kris Meeke in the 2019 Rally Sweden. 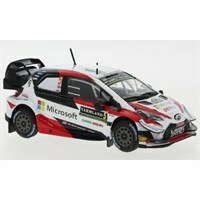 IXO 1:43 diecast model of the #8 Toyota Yaris WRC as driven to victory by Ott Tanak in the 2019 Rally Sweden. 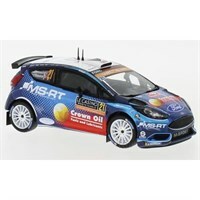 Spark 1:43 resin model of the #21 Ford Fiesta R5 as driven by Gus Greensmith in the 2019 Monte Carlo Rally. 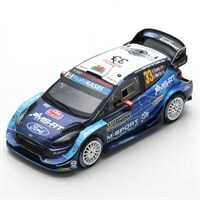 Spark 1:43 resin model of the #33 Ford Fiesta WRC as driven by Elfyn Evans in the 2019 Monte Carlo Rally. 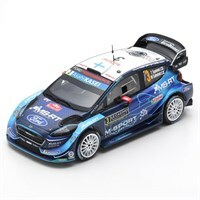 Spark 1:43 resin model of the #7 Ford Fiesta WRC as driven by Pontus Tidemand in the 2019 Monte Carlo Rally. 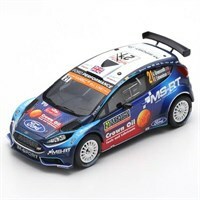 Spark 1:43 resin model of the #3 Ford Fiesta WRC as driven by Teemu Suninen in the 2019 Monte Carlo Rally. Spark 1:43 resin model of the #8 Toyota Yaris WRC as driven by Kris MeekeOtt Tanak in the 2019 Monte Carlo Rally. 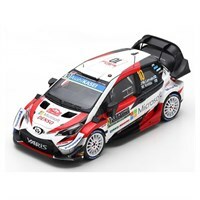 Spark 1:43 resin model of the #10 Toyota Yaris WRC as driven by Jari-Matti Latvala in the 2019 Monte Carlo Rally. 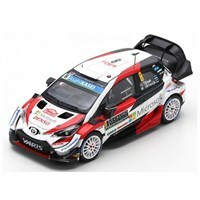 Spark 1:43 resin model of the #5 Toyota Yaris WRC as driven by Kris Meeke in the 2019 Monte Carlo Rally. 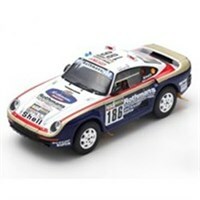 Spark 1:43 resin model of the #4 Citroen C3 WRC as driven by Esapekka Lappi in the 2019 Monte Carlo Rally. 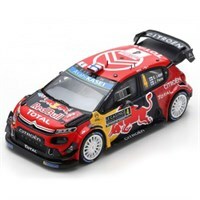 Spark 1:43 resin model of the #1 Citroen C3 WRC as driven to victory by Sebastien Ogier in the 2019 Monte Carlo Rally. 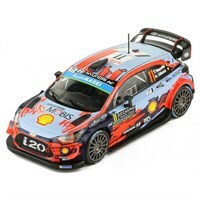 IXO 1:18 diecast model of the #4 Hyundai i20 WRC as driven by Thierry Neuville in the 2018 Monte Carlo Rally. Tecnomodel 1:18 resin model of the #3 Saab 99 Turbo as driven by Stig Blomqvist in the 1981 Swedish Rally. 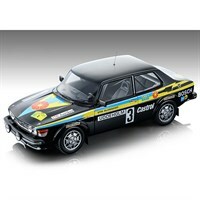 Tecnomodel 1:18 resin model of the #9 Saab 99 Turbo as driven by Stig Blomqvist in the 1980 Costa Smeralda Rally. 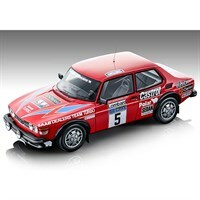 Tecnomodel 1:18 resin model of the #5 Saab 99 Turbo as driven by Stig Blomqvist in the 1979 RAC Rally. Tecnomodel 1:18 resin model of the #3 Saab 99 Turbo as driven to victory by Stig Blomqvist in the 1979 Swedish Rally. 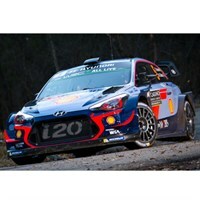 IXO 1:43 diecast model of the #19 Hyundai i20 WRC as driven by Sebastien Loeb in the 2019 Monte Carlo Rally. 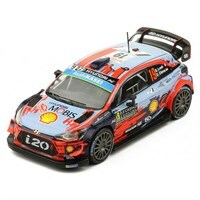 IXO 1:43 diecast model of the #11 Hyundai i20 WRC as driven by Thierry Neuville in the 2019 Monte Carlo Rally.